I’m aiming to write and post a little bit each day about the family history research I’m doing, and what I find, during a week staying​ in Edinburgh. But for personal privacy, the posting of these travels on AFamilyHistoryBlog will be delayed by a few days, and will not necessarily be in day by day order! Some of these posts may be given later tweaks, with added photos, etc. Day 1 – day 2 – day 3 – day 4 – day 5 – day 6 – day 7 – & day 8 & the big family gathering. 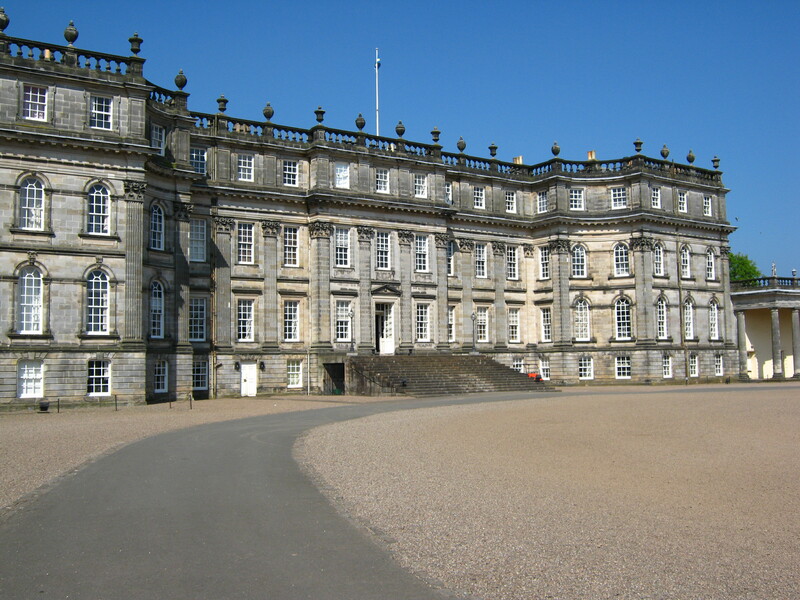 I spent much of a day in the archives at Hopetoun House, South Queensferry, near Edinburgh. I was looking into my WALKER ancestors, who were tenant farmers on the Hopetoun Estate through from the mid 18th to the end of the 19th century, and into the farms where they lived and worked. Among other things, there are bits in the Walker family history, originally written by my Grandfather in the 1950’s, which I don’t know any original sources for. So I was hoping that I might find some of those in the Hopetoun archive records. I had previously been in contact by email with the volunteer archivists at Hopetoun, so they knew that I planned to visit. I arrived at Hopetoun House at 10:30am, as it was opening to public visitors. I went in to the lower ground floor reception, to the right of the main staircase up to the front door (where most public visitors go into the house). 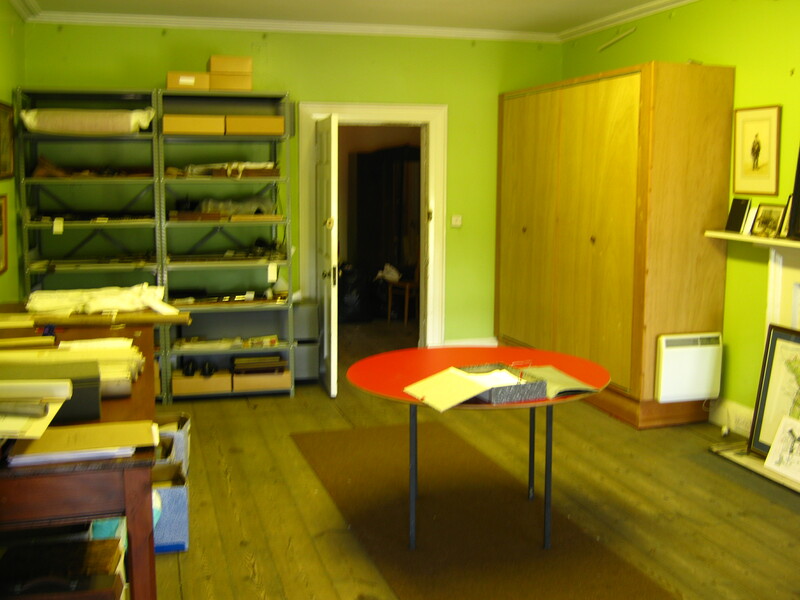 I was soon met by one of the archivists, Richard, who took me up through service stairs and corridors, to an archive research room on an upper floor. I spent several hours there, looking through a number of bundles of old documents; lease agreements (tacks), etc, and was permitted to photograph anything I saw that looked to be of interest. 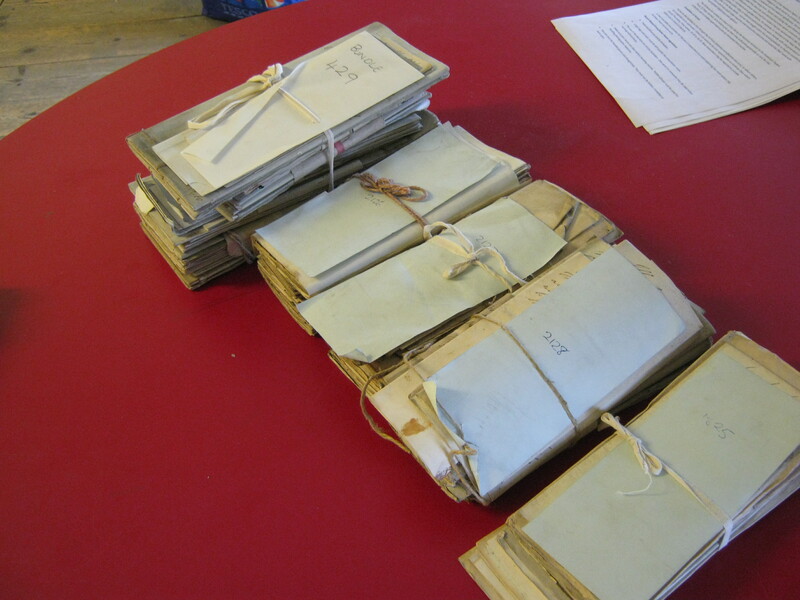 Each bundle has a reference number, and is catalogued in the National Register of Archives for Scotland (NRAS). All the papers in the Hopetoun Archives appear to begin with the catalogue reference “NRAS888/”. In the archive room I was able to search this catalogue, on a computer, to identify the catalogue entries that looked to be of most interest. Among the papers I saw, there were estate copies of two or three of the same documents that I’ve already posted copies of onto AFamilyHistoryBlog from among the WALKER family papers that I have. My STAR FINDS from among the papers that I saw at Hopetoun House were plans of Hiddlefaulds (which was demolished in the 1890’s) and of the farm buildings at Kilpunt – both plans dated 1841, along with notes which confirmed that the WALKER family became tenants at Hiddlefaulds in (or slightly before) 1745. NRAS 888/1879; “sketch of lands (of Kilpunt) – 1757”. Its worth noting that the NRAS catalogue descriptions tend to identify the titled estates (such as Kilpunt), but not individual farms (such as Hiddlefaulds). Its going to take me some time to process all of this, and I know that if I ever get the time and opportunity to go back to the Hopetoun Archives, there is quite a lot more of interest to look at there. From what I heard the archivist saying, I gather that they have had very few people, like me, visiting the Hopetoun archives to do family history research into the tenant farmers on the estate. But from what I’ve seen, the Hopetoun archives must be a great resource for anyone who is researching a family history with this kind of connection to the Hopetoun estate. Having worked on developing it privately for the previous 2 years, I went “Public” with AFamilyHistoryBlog at the beginning of 2016, and did quite a lot to make it known; getting it listed on other websites, like GeneaBloggers and relevant local family history websites. For a recap of what I wrote in January 2016, see HERE. I also started working to post details of some old papers of my WALKER family, from Kirkliston, West Lothian. I posted 13 pieces about the WALKERs in Jan, Feb, and March 2016; that’s about one a week. But after March, I posted very little through the summer months! In the autumn I started looking again at various bits of family history (none of which I’ve yet written about here!). I returned to posting some more WALKER documents/photos in December, and was inspired to start a Facebook page where I can share things that I find of a more general family history interest. Then I found some very interesting details about the JOHNSTON family which I have recently posted about. At the time of writing this post, during 2016, AFamilyHistoryBlog has received 1,195 visits and 2,633 page views, including; from the UK – 1,093 views, from USA – 670, Australia – 303, Canada – 193, Denmark – 135, and New Zealand – 105, along with smaller numbers from 27 other states. In January 2016 I wrote about wanting to try and post to AFamilyHistoryBlog on a more frequent basis! But clearly the year has followed the same kind of pattern as previous years – working on the blog over Christmas and into the new year, then a long period of relatively little activity through the summer and autumn. (See what I wrote in January 2016 – HERE). I fully expect the same pattern to continue through 2017 and beyond. I want to post details of many more documents that I have about the WALKER and JOHNSTON families. Among these, there are invites from the Earl of Hopetoun, to Dinners at Hopetoun House, West Lothian, and related documents. I also want to post a piece about a Great-Uncle, James Hope WALKER R.F.C., who died in a flying accident almost 100 years ago, during WW1. I have photos of James, and of the crashed biplane to post. And there are still many other branches of my family that I want to cover on AFamilyHistoryBlog. In the summer 2017 we have another big HUTCHISON family gathering booked. We’re heading to a location which is new to most of the family, in South Ayrshire, Scotland. My idea is to stay another week in Scotland, around the gathering, and do some research while I’m up there. I think that I will visit Edinburgh and West Lothian. I may also visit Glasgow. And following what I’ve recently found about the JOHNSTON family, Falkirk is now on my list of places to visit. So I hope to be blogging about this trip when it comes.